Performance, brand new, part worn & used, tyre repairs & fitting for all vehicle types. Whatever it is you need...we want to help! 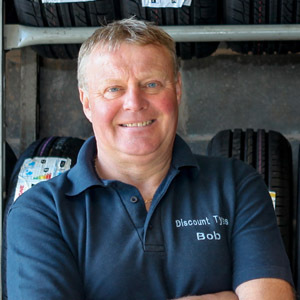 Discount Tyres Ltd. Is a 2nd generation family business established in 1990. We offer the professional service you expect with a friendly face. We are a local business where our customers interest is 'number one' priority! Come visit us anytime for a free pressure check and meet our friendly team. 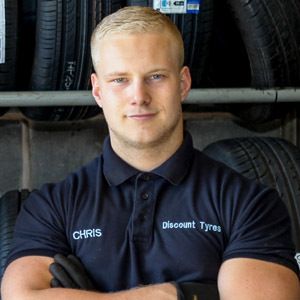 At Discount Tyres we specialise in selling tyres at highly competitive prices. Wide range of vehicles from trailers to motorhomes, 4x4s, small trucks and vans. Do not hesitate to get in touch, we are always happy to help! We pride ourselves on providing the solutions to all your tyre related needs. Brand new performance tyres at highly competitive prices can be ordered in if we don't already have them in stock. Our team will keep you informed of orders and get you back on the road safe and sound as soon as possible! We have a huge range of premium and budget 'new' tyres. Stock and sizes vary so for more information just give us a call and we will be happy to help. All our part worn tyres come with good tred depth and are fully checked & certified by our expert staff. We have a huge collection of part worn tyres in stock and we can usually source anything we do not have within 24 hours. We offer a repair service for tyres with minimal damgage or punctures. We will fully inspect all tyres we work on and make sure they are successfully repaired and safe for the road. Whatever it is you need, please give our team a call and we will do our very best to help in any way we can! ©Copyright 2015 - Discount Tyres Blackpool. All rights reserved.